How do Squirrels Find Their Way Into Your Attic? 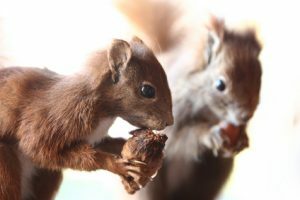 Squirrels are creative, inventive, wily, and smart and finding ways into your attic is a piece of cake. Even the tiniest opening is an invitation to enter and if it isn’t, they’ll chew until the hole is large enough to gain entry. One of the first lines of defense is ensuring your home is sealed by doing a visual inspection for any entry points. As noted, what may seem too small to you is not a problem for a squirrel to slip through. Find and seal all entry points. Traveling through the treetops is second nature for squirrels. Another preventative measure is trimming all tree branches that may be overhanging the roof line. This cuts off their avenue of travel into your home. If you find any cracks or crevices in the foundation wall they will need to be repaired. 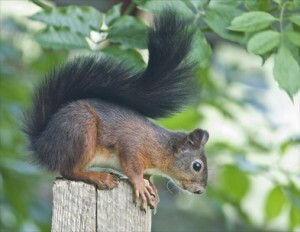 Last but not least, set squirrel traps to catch the acrobatic critters. This is one of the safest bets for keeping squirrels out of the attic. Once they’ve been captured, release them several miles from your home into a wooded area where they have food and water sources. Repair any entry points to prevent new residents. 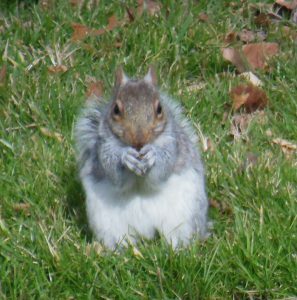 NJ pest control services are the professional way to handle squirrel removal. Contact Stern Environmental and we’ll schedule an experienced NJ pest control expert to remove your unwanted house guests.